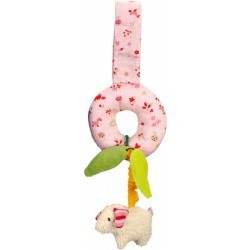 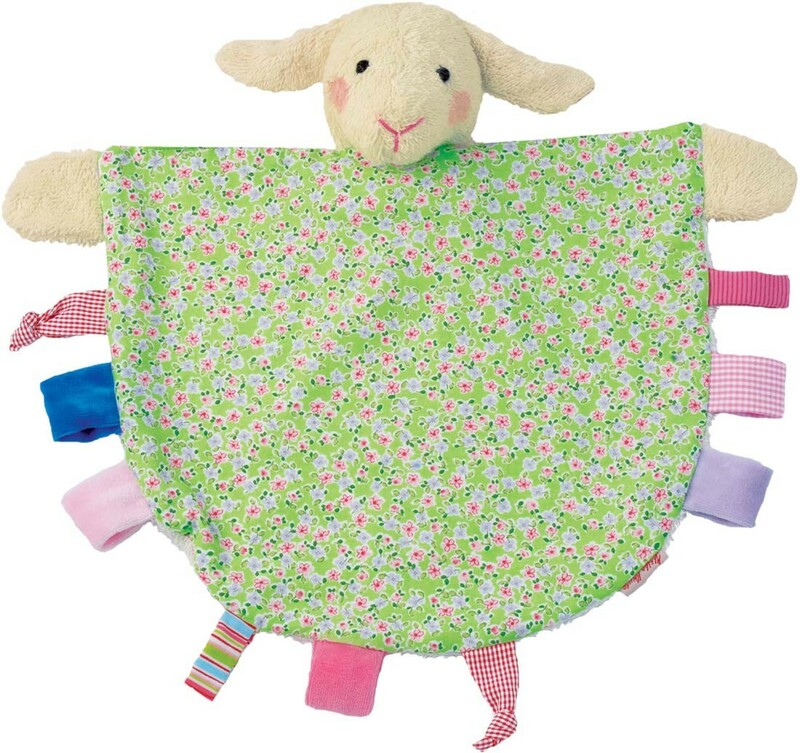 The Ikibab Maeh lamb towel doll is soft and cuddly with a hand-embroidered face and a body of cotton fabric featuring loops and knots for curious fingers to explore. 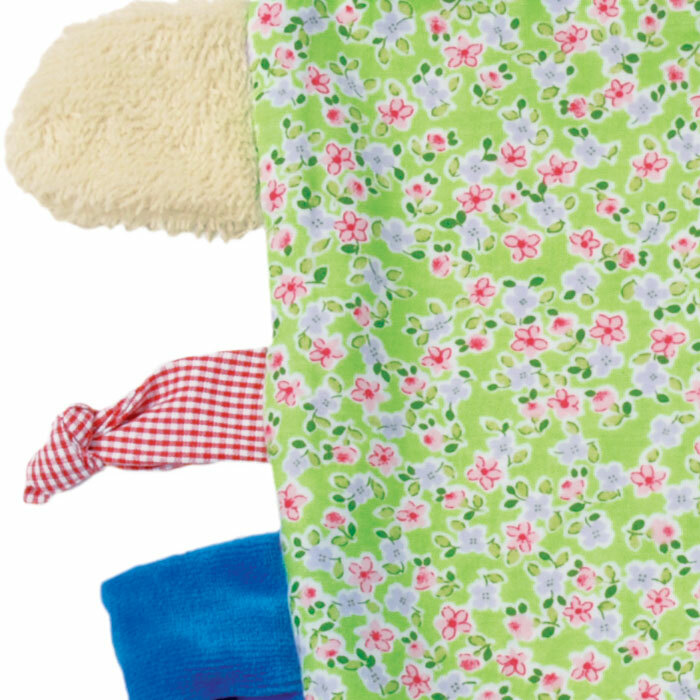 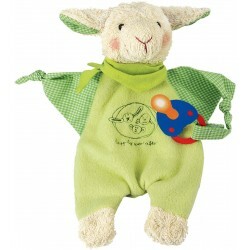 The towel doll is one of the original Käthe Kruse products and they are perfect companions for infants and babies because they adopt familiar smells of mommy and daddy and the home, providing comfort and familiarity. 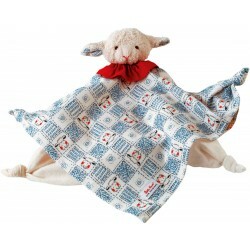 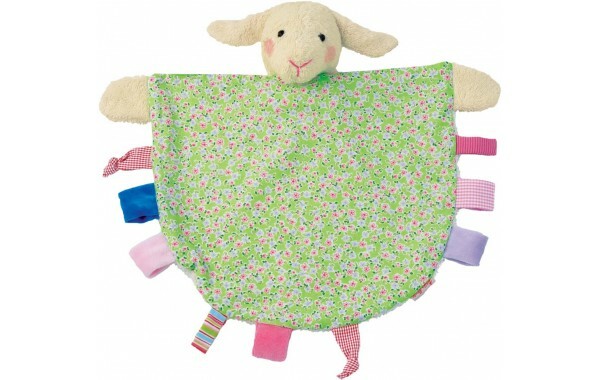 The Maeh lamb towel doll makes an excellent gift and a safe toy for a new baby.